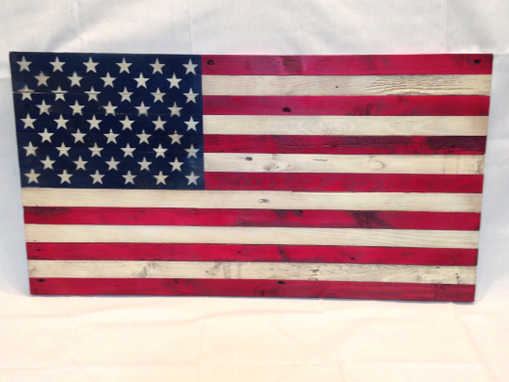 Awesome rustic distressed 50 States American flag. 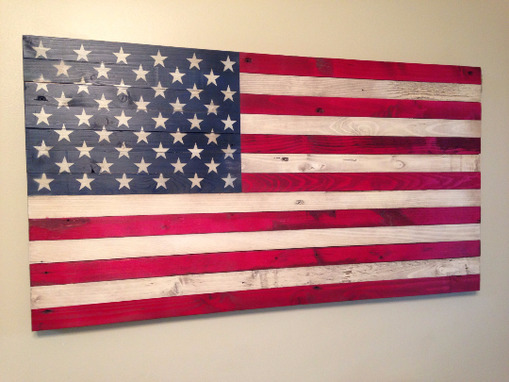 This beauty is a great item for gifts or by one for yourself and show your American spirit. Wall hangers included on back for easy installation. Each piece is true to size for the flag and is made of 13 individual pieces of wood.